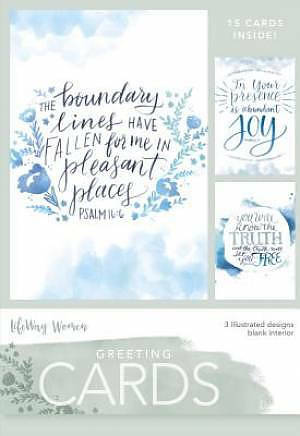 Pleasant Places Boxed Greeting Cards by B&H was published by B&H Publishing Group in June 2018 and is our 28852nd best seller. The ISBN for Pleasant Places Boxed Greeting Cards is 634337855615. I use encouragement cards for church, and on the face of it, these looked good. However, there is no 'sticky' surface on the envelope to seal for posting and the cards are blank inside. I suppose I should have checked closer. They will still be used, so not a disaster! Got a question? No problem! Just click here to ask us about Pleasant Places Boxed Greeting Cards.